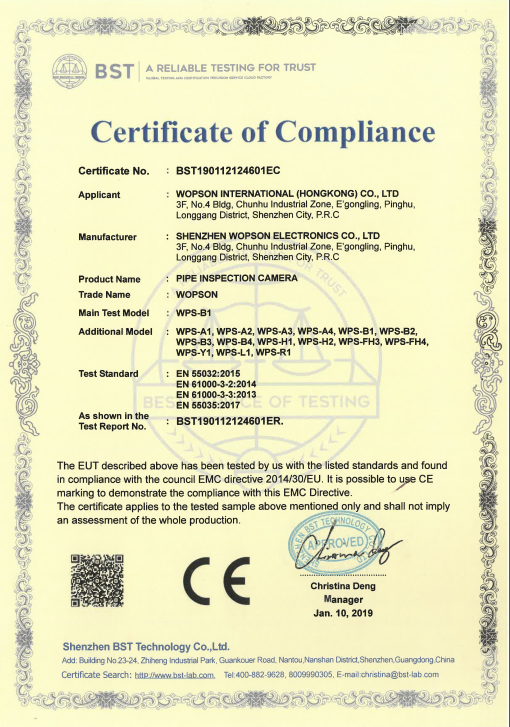 China Property And Weak Acid Base Pipe Inspection Camera supplier - high quality Wopson pipe camera for sales, Wopson pipe camera manufacturer. Flexible, flexible, steel. This product uses the international advanced CCD, the optics lens machine processing, the assembly craft concentrates in all, makes the equipment operation simple and practical. High resolution image clarity, vivid color, the location of the detection of accurate shape and other prominent features, to the user to restore a real image, the rapid diagnosis and analysis of defects become more simple, for the accuracy of the results of the inspection to bring higher assurance, at the same time the integration of advanced production technology and self-developed Sprocket Drive design, The product achieves the simplicity of operation, portability, portability, reliability and durability of use. At the same time, without passing the computer in the case of the part of the video, the image of real-time capture, so that users on-site operation more flexible and lightweight. Endoscope inspection, support continuous power supply up to 5-6 hours, with more than 480,000 pixels, through large field angle and higher resolution of the liquid crystal display, to restore a clearer, broader and brighter detection image. In order to meet the high quality requirements, lifelike image reproduction, equipped with excellent optical system, noise reduction technology, endoscope has an automatic dimming function. Higher resolution of the liquid crystal display, in addition to providing a clear and bright image, but also in the display directly on the image of the camera, video, subversion of the traditional endoscope must be through the computer to do the above function. 300M Line Plumbing Detectors 360° Rotation Camera.